Pebbles ~ Domestic Short Haired Tuxedo ~ Approx. 2 1/2 years old (as of 1/14/2018) Can be visited at Petvalu located at 2000 Mendon Road, Cumberland, RI Our little lady...Pebbles Pebbles was a feral cat in Central Falls that we took in with her three baby girls. She proved to be a wonderful mom to her girls and is now she's ready for a life of being care for herself. 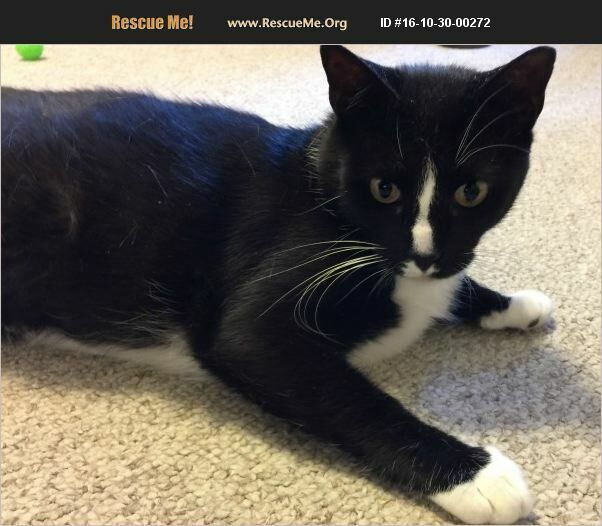 Pebbles is a gorgeous young tuxedo mom. She's very sweet, craving attention. She likes to rub against you all the time, wanting nothing more than a new loving home. Our adoptions run as follows: When someone shows an interest in one of our pets we respond with an email with an attached application. Once your application is emailed back to us, and a background check is completed, a meeting with the animal goes forward. We are a rescue group which means all of our cats/kittens are technically in foster care. We are not set up for drop in visits. All of our contact is done through e-mails until you are called by David who is the gentleman that reviews all of our applicants. Dave is the one with all of the background information on the cats/kittens. Our adoption fee is $150.00 per pet. All of our cats/kittens are fully vetted, current on all shots, micro-chipped and spayed/neutered before heading home. P.S. : Our ACO is not involved with any of the cat/kitten placement procedures so please do not contact her for assistance. You will simply be sent back to us. Thank you!! !